Google, is the one who owns Android and Google Playstore. But Google had some bad relations with Chinese companies. That’s the only reason Chinese phones don’t have stock Android & have their own themed launcher. There is no Google Playstore App in old MIUI ROMs. So, you can use this method to install playstore. Install Google Playstore if you have accidentanly deleted your Playstore after rooting. 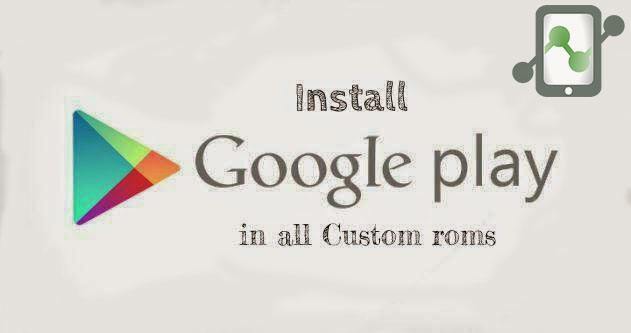 This is a solution for all the ROMS which do not have Google playstore by default. This is the easiest and safest method for installing Playstore. This is also useful if u want to upgrade your playstore manually. The version of playstore is 4.6.16 . Disclaimer : I am not responsible if you brick your device or if your device blows up, implodes, flames start shooting from it..But i can assure you that it will work if you do the same as i say. CWM recovery installed : How to install CWM on all phones. Play store fix : Play Store fix. (1) Download and place the playstore fix in your SDcard. (3) Select the zip and wait for it install. Reboot your after installation is completed. (4) You have successfully installed Playstore in your device. NOTE: NO need for factory reset or clear cache or anything. Simply flash this file. I hope this article helped you in installing Play store on your device. If you have any doubt/suggestions you can checkout our forum. Feedbacks are most welcome. Please share this post ! Thanks You!